Just when you thought you knew everything about the 1st and 2nd WW’s. Here’s a book that opens our eyes to the terrors of the deep for marine merchant sailors during the First and Second World Wars! It also bares the horrors of war from the side of the attacker as well whether they be a U-boat captain or a disguised pirate marauder. You’ll want to spend a number of hours discussing the war crimes of Hellmuth von Ruckteschell the captain who, with his quirky personality switches from being the humanitarian captain who rescues and cares for the crews and passengers of the ships he sinks, to the monster who machine guns ships that have surrendered and sends their entire crews to deep. Author Carr follows his British sailors to the bitter end of the war after their harrowing 2700 mile jolly-boat survival of the sinking of the ship “Anglo-Saxon.” This is definitely a heartfelt, well researched tale of the monstrosities of war wreaked upon the merchant mariners and the aftermath. I recommend it to everyone grades 10 through 99. 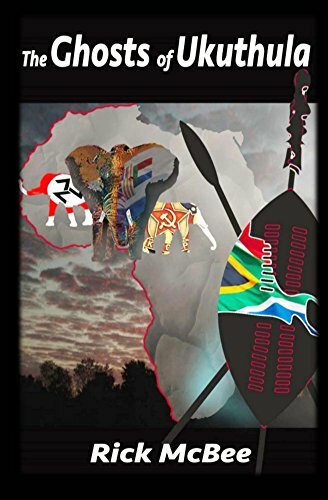 Don’t forget to visit my AmazonGiveaway site before 30 July (20 free copies of “The Ghosts of Ukuthula” will be given away! Click here to see the giveaway! ← Giveaway! 20 Free E-books on Amazon!